A lattice has labels A and B at opposite corners. 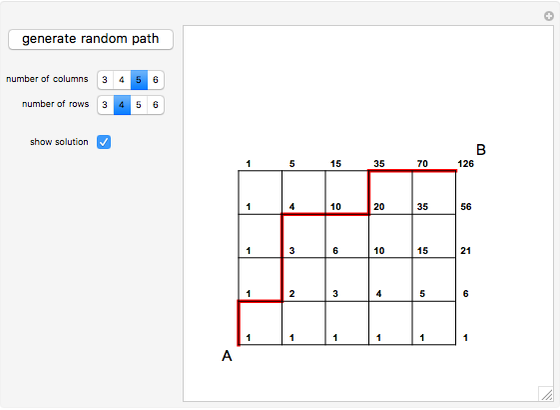 This Demonstration determines the total number of possible paths from A to B, with moves either up or to the right. 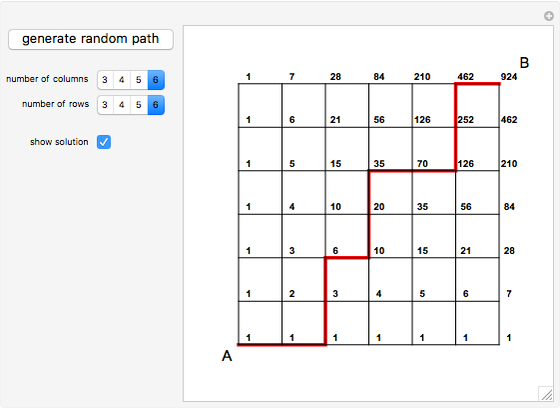 You can generate a random path from A to B or change the number of columns or rows in the grid. 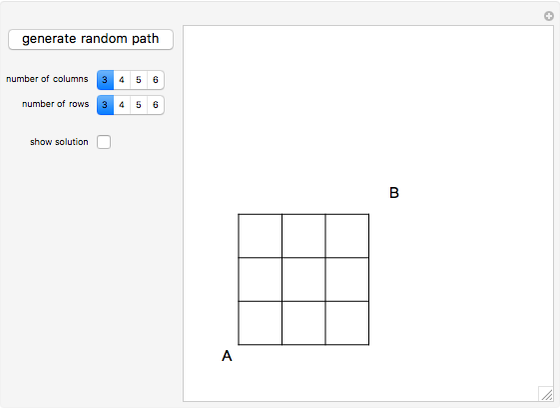 Check "show solution" to display an analog of a Pascal's triangle that gives the total number of possible paths from point A to all other points. M. Coffey and A. Kalish, eds., "Calendar and Solutions—December 2012," Mathematics Teacher, 106(4), 2012. www.nctm.org/Publications/mathematics-teacher/2012/Vol106/Issue4/Calendar-and-Solutions---December-2012. George Zhang "Counting Lattice Paths"